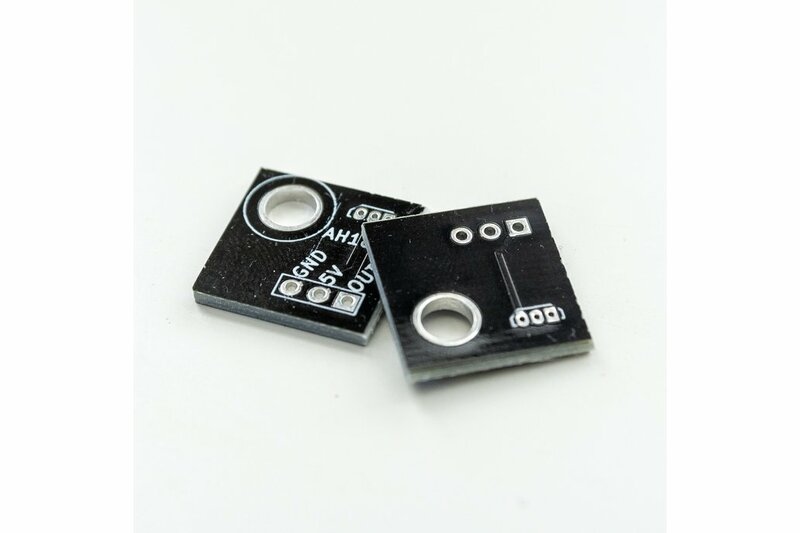 This is a pack of 4 breakout boards for mounting a hall-effect sensor, like the AH3391Q. Note that this listing is for the bare PCBs with no components. 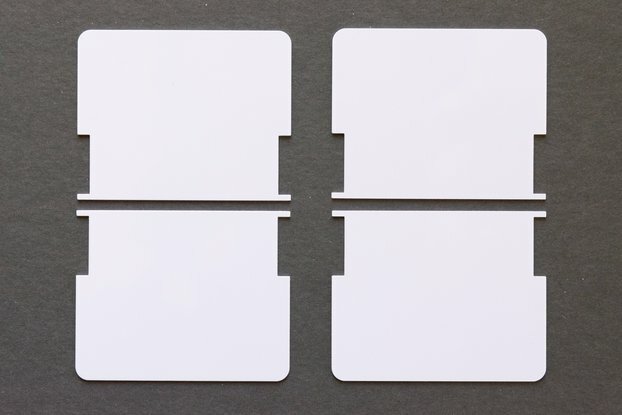 Four breakout boards are included per order - enough to build 4 splitflap modules. There's a ~4.5mm hole for mounting using an M4 screw (not included), and room to solder a through-hole hall-effect sensor (not included) and 3-pin connector (not included). 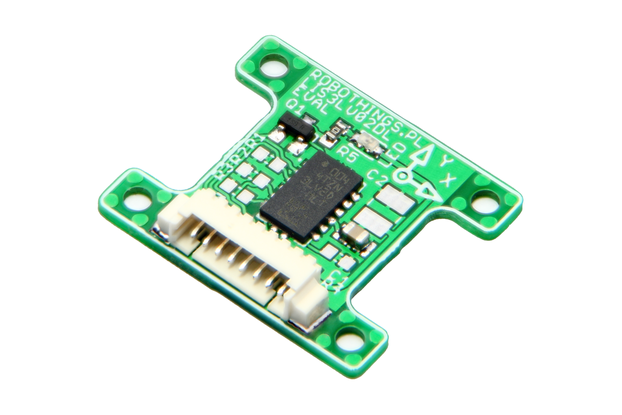 It's specifically designed to fit onto a split-flap display (see the project website for full details), but you could probably use it to mount a hall-effect sensor anywhere with a bolt/screw. 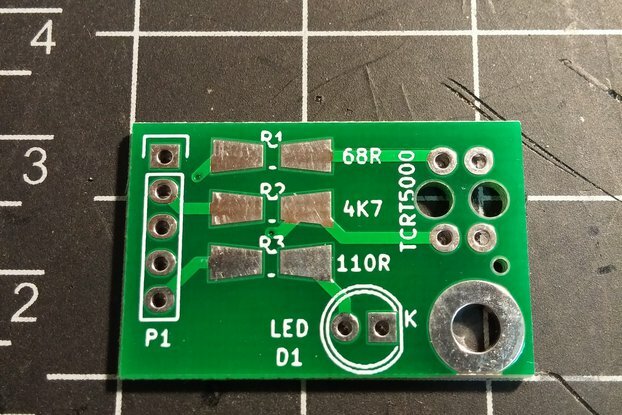 So why am I selling such a barebones, simple PCB? It's simple: high fixed costs of PCB manufacturing make small/low-quantity orders unfeasible. 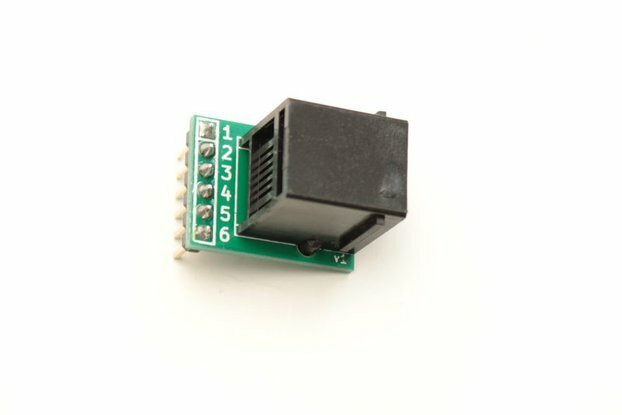 I want my splitflap project to be accessible to lots of hobbyists, but ordering a PCB can be daunting and it's also not cost-effective to order these sensor breakouts yourself if you're just making one or two splitflap modules. While each individual board costs very little at scale, you can't actually order just one or two or four very cheaply, especially when you account for shipping. I've ordered a bunch of these boards in bulk so that I can make them available to you in small quantities for a reasonable price. That said - if you're planning to build a bunch of splitflap displays (like more than 24) I'd encourage you to order the PCBs yourself rather than buying them from me. It's likely to be cheaper that way, and it's less work for me! You can download the panelized gerbers from the project website and send it off to your PCB manufacturer of choice - it already has V-Cut lines configured according to SeeedStudio's panelization rules. Pickup in person: Prearranged pickup in San Francisco or Oakland. Please reach out to me BEFORE placing your order to confirm availability of in-person pickup. Pickup will be generally be available in San Francisco on weekdays or Oakland on weekends, but is subject to availability. Your order will be cancelled if you select this option without reaching out to me first to arrange a date/location. Item will be shipped in a standard First Class Mail envelope. No tracking is available.